Wilde Stories – A live arts and music event celebrating the life and work of Oscar Wilde. #HappyBirthdayOscar – come celebrate Oscar Wilde in the heart of his home city. Wilde Stories is a transmedia arts project bringing together Irish artists to creatively re-imagine the work and life of Oscar Wilde through the prism of his short stories for children ‘The Happy Prince and other Tales’ (1888). The project is led by Athena Media, an award-winning digital storytelling company, and is a collaboration with Irish artists composer Michael Gallen and visual artist Felicity Clear. This family-friendly event takes place in Meeting House Square, Temple Bar, in the heart of Dublin City. This event uses the window of Wilde's fairytales to celebrate Wilde and brings together an original recorded music score by Michael Gallen and stunning new animations by visual artist Felicity Clear. 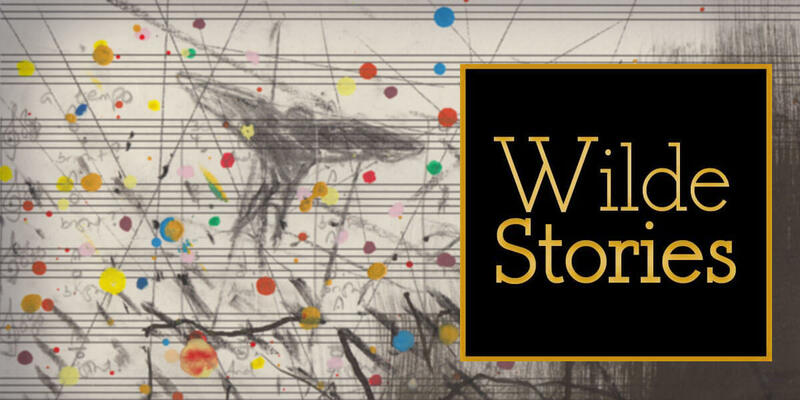 The show will consist of a screening of the film Wilde Stories with the recorded music of Michael Gallen – recorded by the RTE Concert Orchestra for the project.